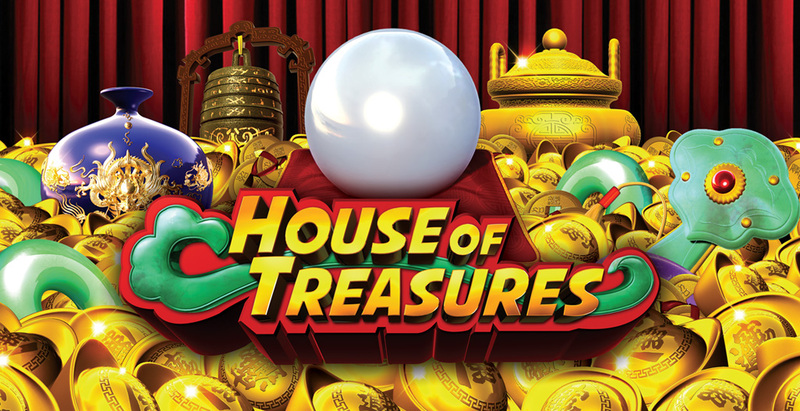 Experience a world of boundless fortune and wealth. Seek out the priceless symbols and be rewarded. 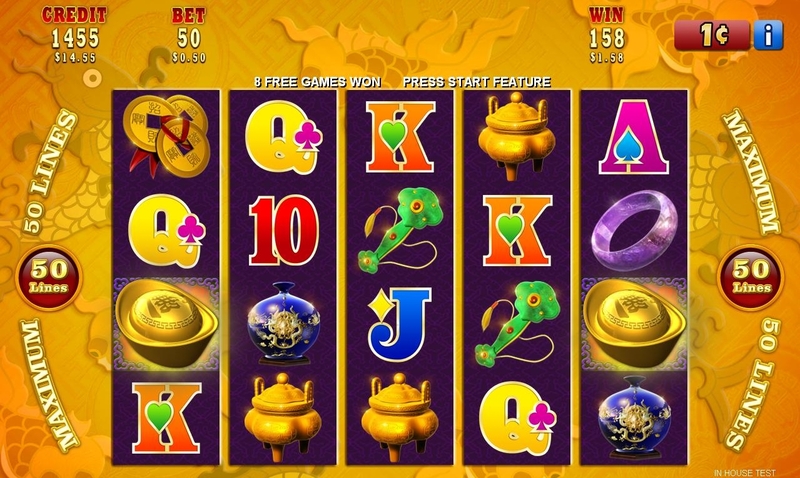 Combinations of luck and prosperity will guide your journey throughout this exciting game title. 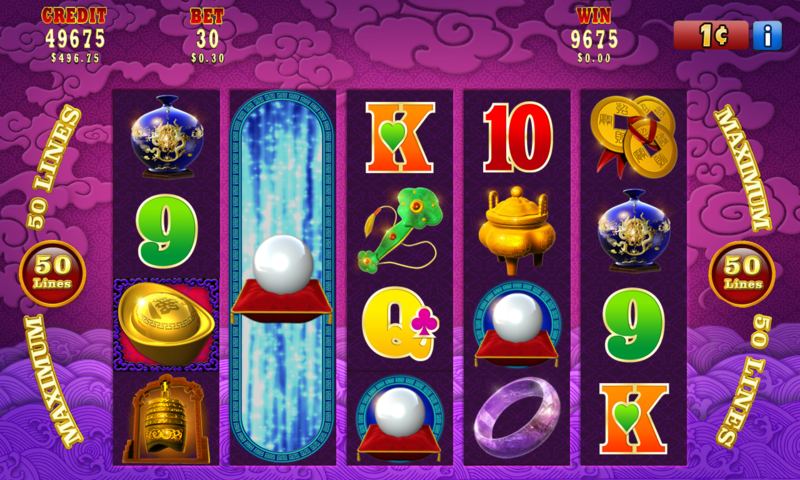 [Pearl} substitutes for all symbols except [Ingot] and appears on reels 2, 3 and 4 only. 2 scattered [Ingot] on reels 1 and 5 trigger 8 free games. 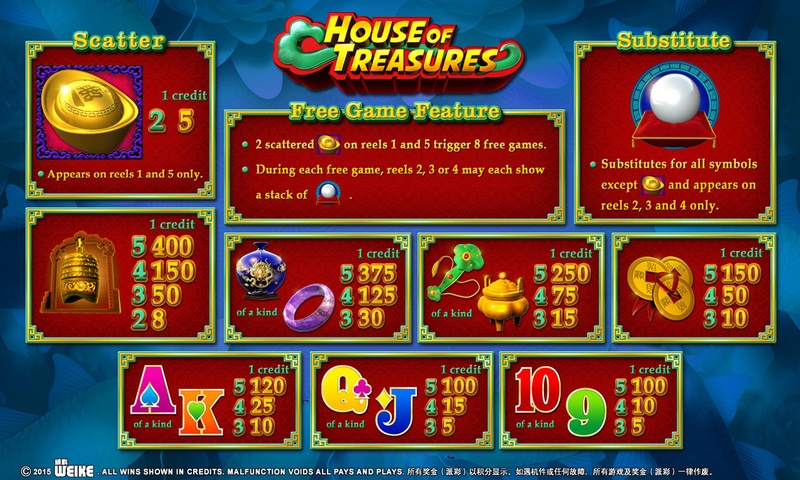 During each free game, reels 2, 3 or 4 may each show a stack of [Pearl]. When any [Pearl] in a stack is involved in a win, all stacked [Pearl] on that reel will transform to [Tall Pearl]. [Tall Pearl] substitutes for all except [Ingot].